The first full day of our Highlands adventure, we decided to drive down to Drumnadrochit to see Loch Ness and the sites around there. While we were not in the market for a river cruise to find the elusive monster, we were interested in seeing the ruined castle that graced its shores. 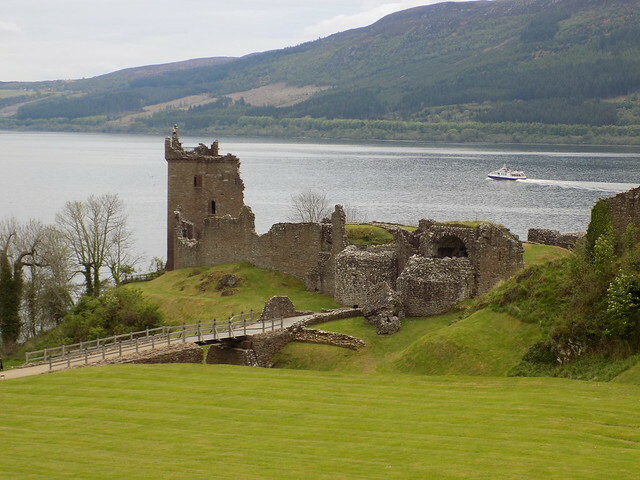 Urquhart Castle dates back more than a thousand years and has been a rich part of local history for centuries. The castle itself is ruined, but has been restored to the point where guests can explore the various rooms and see the view from the tower. We were wise to get to the castle right as it opened to the public, as we managed to see most of the ruins before most of the other groups came through. It was a dramatically cloudy day, with winds coming up from the glen through which Loch Ness cuts. It made for a brilliant introduction to Scotland and I got several fun photographs as well! Up the hill from the castle ruins themselves is the visitor center, where they have a small exhibit about the history and significance of the castle, as well as some information about life in a castle in the Middle Ages in Scotland. We had come from seeing the same rooms in the ruins itself, and it gave a nice glimpse into how the castle might have operated. 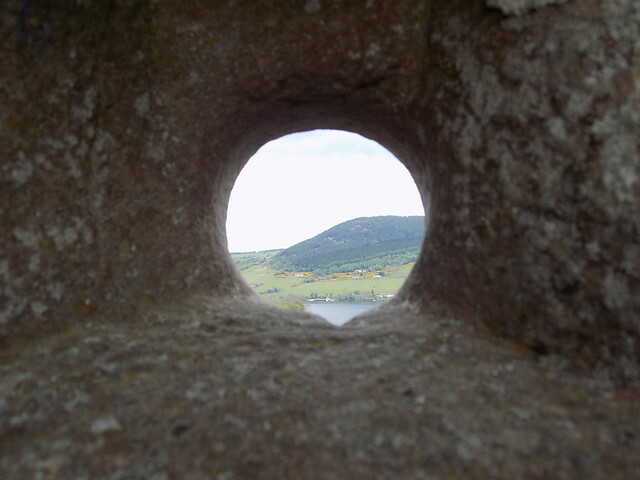 For now, the castle is home to a plethora of swallows, who zipped in and out of holes in the walls and flew out over the loch. 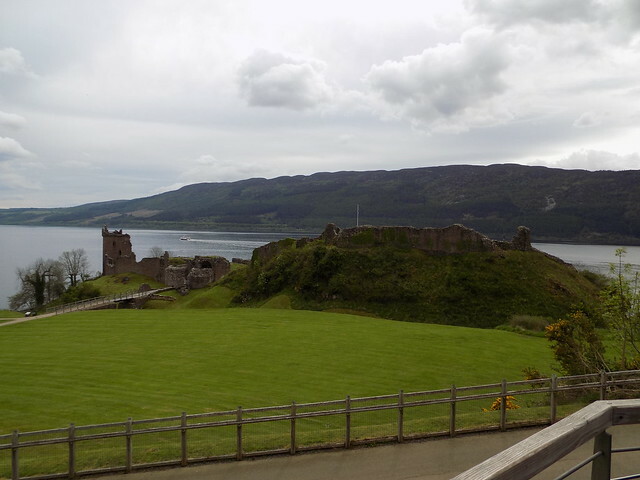 After visiting Urquhart, we stopped by the Loch Ness Centre and Exhibition, where we learned all about the history of the monster legend, the reasons it probably was not true, and how the loch has become important for other reasons. These prehistorically-created lochs have become important sites for conservation research and research into climate change. After that, we finished our morning in Drumnadrochit with lunch at the Fiddler’s Highland Restaurant, which boasts a library of whiskies. Of course I had to take the opportunity to sample three of the local whiskies at the end of our meal of local venison. It made for a delicious and relaxing interlude in the day. Next time, stay tuned for our trip to the Black Isle Brewing Company!